Birth control has been a topic of immense debate in recent years, and Maine has taken the controversy to a new level with a recent bill regarding the popular medication. One of the aims of the new legislation is to allow women to pick up an entire year’s worth of birth control at once. Currently, insurers from the northeastern state only allow women to receive up to a three month’s supply at once — and in some instances, women are required to go pick up their medication each month. In other words, current laws about birth control in Maine are essentially the same as laws regarding other medications, but this could change under the new legislation. Insurance companies say that the new bill could also prove to be very costly. According to the Maine Health Association, the bill would also require insurers to cover all approved forms of birth control at no cost to the recipient. Bangor Daily News reports that “Supporters of the bill say its purpose is to remove the barrier between women and consistent contraception.” Some might argue that as it stands, birth control is treated exactly the same as other medications — and that this new legislation would be a form of “special treatment” being assigned based on gender. What about everyone else who takes prescription medications? Take for example, diabetics: Should they be given a year’s supply of insulin so they can “remove the barriers” to consistent blood sugar control? Reports show that many patients with diabetes cannot afford the costly drug that they need to stay alive. Without prescription coverage, these drugs can cost up to $400. Conversely, one can purchase birth control for less than $10 at many popular retailers, such as Wal-Mart or Target — even without insurance coverage. Of course, the intention behind this endeavor is not as innocent as its proponents proclaim. One of the perks of birth control that very few people talk about these days is population control. Those little pills women are encouraged to pop every day are very clearly part of the depopulation agenda. Several popular news sources have even authored articles on it: BBC, NPR, The New York Times, and Scientific American are just a few places you can read all about the hidden agenda that lies behind the push for more oral contraception. 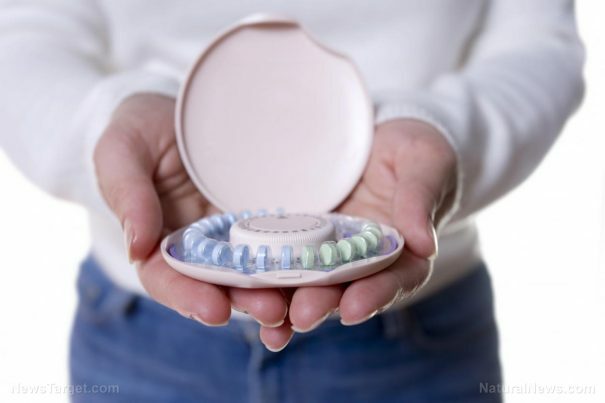 Despite the mainstream media’s cries about birth control being a “women’s rights issue,” the sad truth is that it’s really not about that at all. Birth control is being pushed en masse not for the sake of women, but for the sake of the globalists’ crude depopulation agenda. And they’ve got women lining up in droves to fall in accordance with their desires. Willing participants certainly make things easier, now don’t they? By perpetuating the belief that birth control is solely an issue of women’s rights, depopulation proponents are able to ensure their goals are met without having to use force (which would most likely not be so readily accepted). In addition to masquerading birth control as being just an issue of women’s rights, the risks associated with oral contraceptives has been dramatically downplayed. The FDA has outlined a myriad of side effects and risks that are posed by birth control. These include increased risk of breast cancer, increased risk of blood clots, heart attacks and strokes, headaches or migraines, liver and gallbladder problems, increased blood pressure, weight gain and changes in mood — including depression and anxiety. Some studies have shown that birth control can raise the risk of depression by up to 80 percent in some cases. And in 2011, a report by the FDA showed that some forms of the medication could raise the risk of blood clots — which can be fatal — by up to 150 percent. Did your doctor outline how high these risks really are when your birth control was prescribed?